Solar Sunrise - Soul Steppin. Classic Soul mixed with some of the newest releases, plus features. Like many I started DJ’ing in 1975, working on Mobile Disco’s. From 1975 to 1983 I learnt the trade the hard way DJ’ing at Social Clubs, Weddings, Parties, and soon became one of Luton’s well known Mobile DJ’s . In 1983 I earned a break into the Nightclub Scene and became the Resident DJ of Shades Nightclub in Luton, after Shades, I joined Reflections Nightclub / Hitchin, This led to a 6 year residency in which time, Reflections was acknowledged many times in Blues + Soul magazine, as one of the best Small Soul nightclubs outside of London ! In 1989 I moved on from Relections and became the resident DJ in a Bedford Club called ( Winkles ) there a 3 year Residency followed, I became well known for playing upfront Soul + Funk. In latter years I held a residency at Envy Nightclub in Luton, at this time I was also working with Chlitern Radio’s Louie Martin , Myself + Louie ran a successful Soul Night in Luton for 5 years called Soul Academy ! In November 2013 I Joined Secklow Sounds Radio 105.5 FM in Milton Keynes, and began to host my show ( Soul Steppin ) this show has gained in popularity, with some 6,000 plus listens to the show over 3 Years, and listeners from the UK / America and South Africa ! At the end of 2016 I left Secklow 105.5 FM, and Joined Delite Radio in London, where I again presented my Soul Steppin show for nearly 2 years. 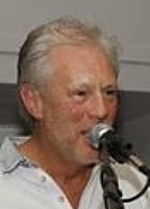 With a wealth of some 40 years Knowledge in the Soul Music scene, I still enjoys playing out and feature at many Soul Events, Like Summer Soulstice, and enjoy my Radio shows especially interacting with his ever growing group of followers ! Rob commented on his recent appointment : I’m So looking forward to joining Solar Radio and presenting my Soul Steppin Show, and thanks to the team for having faith in me ! 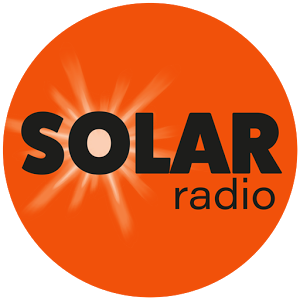 My Mission is to play top Quality Soul Music for the Listeners, and to contribute to Solar being the No 1 Soul Station in the UK. Join me every Friday on 6 to 8 a.m on Solar Sunrise , when I will present my Soul Steppin Show, we have 3 Features in the show, 1) The Jazz Funk Double , where we play two classic Jazz Funk tracks back to back . 2) Dearly Departed, where we look back at a couple of Artistes who have passed and playing tracks from them remembering their contribution to Soul Music. 3) The Friday morning Love In, where we play two back to back Slow Jams, plus lots of classic Soul mixed with some of the newest releases, informative and an Easy listen, Hope you can join me. First band I see live was Chairman of the Board in 1974, been hooked ever since ! 1) Lowrell – Mellow Mellow . / 2) Roy Ayers — Don’t Stop this Feeling. 3) War — The World is a Ghetto . / 4) Tom Browne — Brighter Tomorrow. / 5) Lenny White — Didn’t know about Love till I found You. 1) Philadelphia International / 2) Expansion / 3) Fantasy . 1) Stevie Wonder . 2) Blackbyrds . 3) Bobby Lyle , 4) Cameo . 5) Leroy Hutson. 1) California Ballroom, Dunstable . 2) Pink Elephant , Luton . 3) Royalty Southgate. Hospital Radio St Albans 5 Years, / 3 years on Secklow Sounds 105.5 FM in Milton Keynes. / 2 Years on Delite Radio. A good melody and hook, one that will appeal to Others apart from me ! A solid credible Soul station with a great Selection of shows, and Genres of Soul Music. Robbie Vincent , Jeff Young , Tony Blackburn, All great Broadcasters with great knowledge of the music and the perfect presentation of their shows. For presenting a quality show, sharing knowledge of Soul Music, and engaging them into the experience. Watch Football Season ticket Holder at Luton Town FC, and listening to Music ! Family Life.